In the world of comic book, video game, and other nerdy conventions, there’s been an unfortunate harassment problem. Specifically it is harassment of women who come to cons dressed in costume, and it takes many forms: catcalls, groping, name calling, etc. One particularly problematic form it takes is people taking photos of women in costume without their consent. A common manifestation is the “up-skirt shot” where a harasser will do something like pretend to tie his shoe so he can take a photo of a woman’s crotch from underneath her skirt. While harassment is a problem at nearly all conventions, many do little or nothing to stop it. GeekGirlCon isn’t like that. Because of this kind of support, the rule of asking before photographing is well-followed. EXTREMELY well-followed in fact. Even if you are already posing for someone else’s photo people will ask if it is okay that they snap one as well. It’s a good policy and I’m glad they have it, but it’s had an even greater unintended consequence. Outside of the harassment, there is a culture of benign yoyeurism at most cons. You walk by in a costume and people stare. Sometimes they try to be subtle and avert their eyes when you look over. Sometimes you hear people whisper to their friends, “Oh hey look, Sailor Moon.” Occasionally people will take your picture without asking, and when you catch them it’s clear that they just didn’t want to bother you, or didn’t think their personal photo was worth asking you to turn around. Sometimes you can tell the photo they got was pretty bad because of how you were positioned. They think it doesn’t matter because they’re the ones choosing to have a bad photo. I don’t think they realize how frustrating it can be for people who spend hours making a costume perfect to then have a bad picture taken. Like I said, this voyeuism is benign. It’s not harassment, there’s no sexual overtone, and it doesn’t make the person in costume feel violated or unsafe. But it’s weird and sometimes annoying. You knew when you put on your costume that it would attract attention, but it’s still weird to have people stare and whisper from a few feet away. GeekGirlCon has unintentionally abolished this voyeuristic con culture. Since you have to ask before taking someone’s picture at GeekGirlCon, you have to talk to people more. And once you start talking, you can’t stop. When I walked by in costume I didn’t hear any hushed conversations. Instead, people would tell me directly how much they loved my costume, the character, and/or the show. Even if it was just a short and simple, “Your costume is great,” it was always direct. There was nothing furtive, no whispers or sideways glances. People smiled and talked and engaged each other. It’s a good reminder of how culture shifts happen. I’ve never even heard the voyeurism thing identified before, and I hadn’t really thought about it until I noticed its absence. It was so subtle, so light, and so accepted that no one even bothered to give it a name. All GeekGirlCon did was make a rule and stand behind it. They didn’t mean to change the culture, it happened on its own. I’m reminded of a story I heard recently about child custody laws in Oregon. Previously there had been a default of children going to the mother if there was no objection from the father, and the majority of children ended up with their mothers. The law was changed to make joint custody the default. Technically the fathers always had the right to ask for joint or full custody, but it was only after the default changed that they began to fully exercise that right. There was a huge shift in the number of fathers who requested joint or full custody after the law changed. Oregon didn’t force its fathers to stay active in the lives of their children. All it did was suggest that being a father means as much to men as being a mother does to women. And the culture shifted. 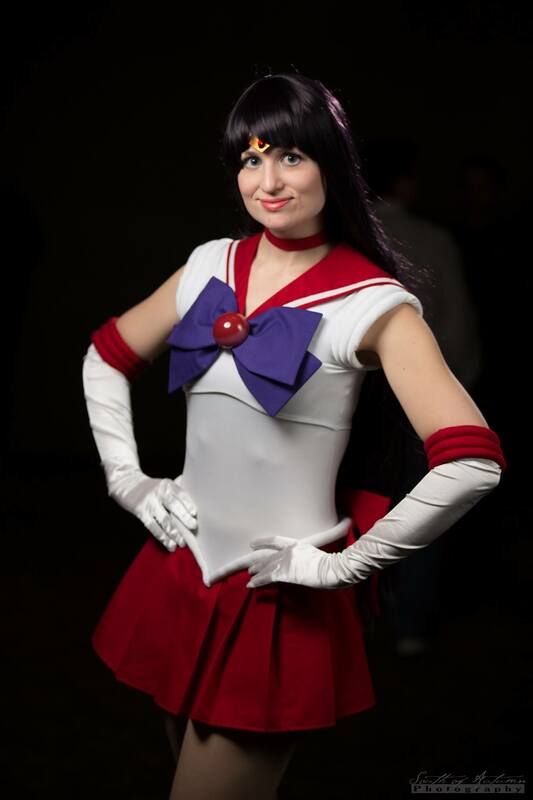 It felt great to be in costume at GeekGirlCon. I was proud of my outfit and the work I had put into it. I got to have conversations with people about the show I was representing and about the work that went in to creating my costume. I had a great time and talked with some wonderful people. And most importantly, I got to smile for every picture. 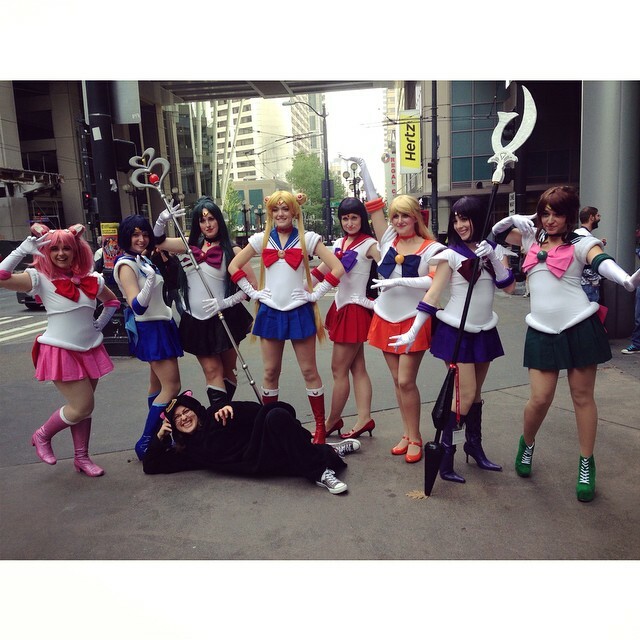 This entry was posted in Culture and tagged conventions, cosplay, cosplayer, ECCC, GeekGirlCon, PAX. Bookmark the permalink.